Really good cat art is really hard to come by. Both Matt and myself are creative people but we have never taken on the challenge of painting cats. 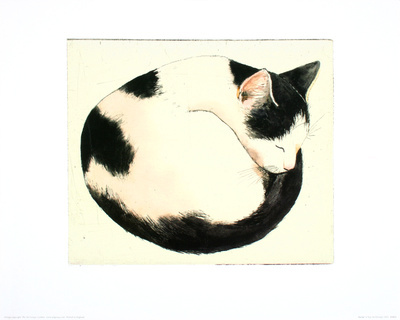 We have however always paid a lot of attention to works of art containing cats. However, when we have come across it in galleries and shops, it is rare that we find much that we like. It seems to be very difficult to find paintings of cats that really capture the feline characteristics and personality. I don’t know if it’s the fur or the eyes, but so often we see cat paintings that in our eyes at least, just doesn’t really look how a cat should be. So when we found Drew Strouble's cat art we were instantly blown away by how natural and realistic his cat paintings were. We also really liked his very unassuming approach to his work and found his website to have a friendly tone which instantly made you like him. Drew paints using watercolours and 100% cotton watercolour paper to produce his wonderful cat art and has been delighting his customers for over 25 years. He says in his bio that he has always lived with cats even from a young age and has always had a fascination for the animal. I think that his love of the cat really shows in his work. You can see that he has spent many, many hours really looking and studying facial expressions and how the cat sits and moves. What also sets his cat paintings apart from others is the wonderful way he manages to create a totally natural scene for the cat to be in. In his painting called “Helga’s cat”, you can feel the warmth of the terracotta tiles and the see the bright sunshine bouncing off of the stone wall. You can just imaging why a cat would want to settle down in that beautiful spot, and that’s what makes his cat paintings so totally realistic and natural. 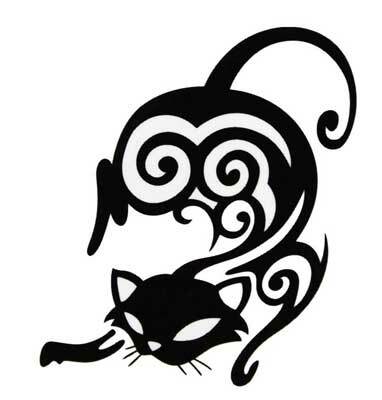 Drew has set up The CatmanDrew Art For The Animals Foundation that through the sale of his work donates to many worthy animal charities and rescue homes. Past recipients have been, The Happy Hills Animal Foundation and Cat Adoption And Rescue Efforts, Inc. to name just two. We love this idea that by supporting Drew's work and purchasing his wonderful cat paintings that you are also helping to provide care and support to many lost and abandoned cats. It’s not every day that you can buy something that will not only make yourself and your loved ones happy but will also make many a feline happy too. Why not have your Cat painted by Drew? Drew works from photographs to produce his cat art portraits. So it doesn’t matter where you live in the world. You can have a totally original piece of cat art of your very own. Imagine your cat captured forever in a stunning watercolour painting. He has several options and styles to suit everyone, from a highly detailed painting to a loose traditional watercolour in various sizes. Drew of course does not only paint cats. He is a fully trained artist and has had many exhibitions of his work over the years, and has won many top honours. 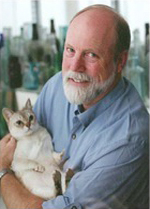 He has even won the Muse Medallion for an outstanding series of cat illustrations by the Cat Writers Association, twice! As well as being able to purchase paintings and gifts of Drew's cat paintings, or having your very own commissioned cat portrait, you can now learn how to paint cats yourself! Drew is offering teaching courses where he will pass on his wealth of knowledge and skill to those who want to realise their own creative abilities. There may even be teaching DVD's available if you are unable to attend one of his courses. We hope you have enjoyed our review of Drew Strouble's art. We are only too pleased to help to promote his work as we love it so much ourselves.